Norton Way Group is a new and used car dealer group with sites in Hertfordshire and London. The company has nine different dealerships and represents a selection of popular brands. In addition to this, the group sells motorbikes and vans. It also provides a number of other services as well as the sale of cars. Norton Way Group dealerships carry out MOTs, maintenance and repairs, and on top of that, partake in the Motability scheme for disabled drivers. The group also runs an award-winning business fleet service. In 1989, Norton Way Group was founded after a management buyout of a Honda dealership in Letchworth. From then onwards, the group’s new managing director, David Grainger, continued to expand the business by adding more branches and franchises. 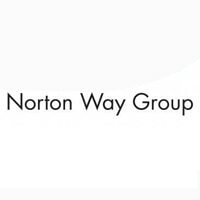 By 2008, Norton Way Group had been acquired by the investment firm Marubeni Auto Investment UK Ltd. It still operates under its own name, though, and has won a variety of prestigious accolades, like ExpertEye’s award for ‘Best Fleet Dealer Group’ in 2017. There are five key brands represented by Norton Way Group – Honda, Nissan, Mazda, Peugeot and Kia. Browse renowned new cars like the Honda NSX, Nissan Qashqai, the Mazda CX-5 and the Peugeot 5008 SUV GT Line. The company also sells used vehicles from numerous different manufacturers such as Audi, BMW, Citroen, Hyundai, MINI, Nissan and Vauxhall, amongst other brands. Norton Way dealerships also stock new vans from the Peugeot and Nissan range.